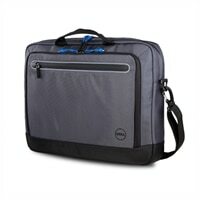 Dell Urban Briefcase-15Transport your laptop, tablet and accessories safely and securely with the Dell Urban Briefcase-15. Constructed of lightweight, durable materials, the briefcase can fit Dell laptops with up to 15.6” screens. 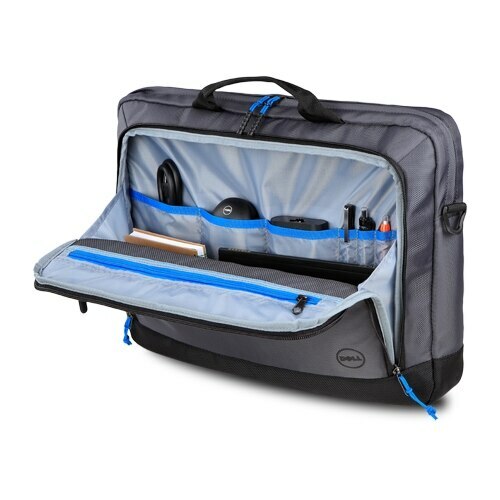 Comfortably fit your tablet within the dedicated tablet compartment and files documents and other necessities in the large storage compartment. There are also smaller outer pockets that provide easy access to your various accessories. Adjust the padded shoulder strap for a customized fit, or you can easily attach your briefcase to rolling luggage for easy travel. 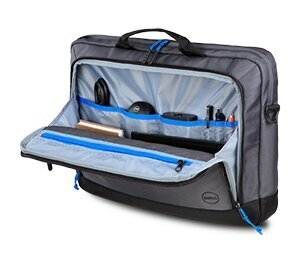 Transport your laptop, tablet and accessories safely and securely with the Dell Urban Briefcase-15. Lightweight and durable, the Urban Briefcase stands up to the daily demands of everyday commuting. The quick-access pocket on the front of the bag has a durable welded zipper, and keeps your keys, cell phone, or wallet within reach. 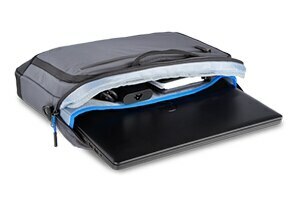 An additional front pocket keeps your valuables safe, with an organization panel for added functionality. 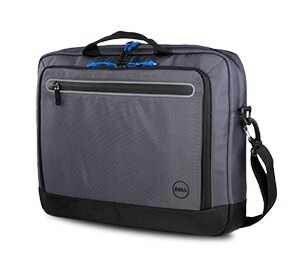 The Urban Briefcase fits Dell laptops with up to 15.6-inch screens. 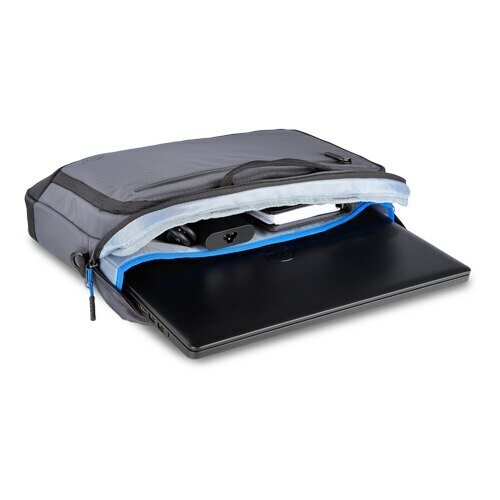 A large storage compartment offers space for files, documents, and other necessities.